Parents play a vital role in youth soccer but are often the least informed stake holders. Most parents’ primary goal is to help their child enjoy her soccer experience and help them reach their potential. In addition to that, many parents help manage their child’s team and some even hold important positions at their youth club. Most board members and decision makers at youth clubs are parents. 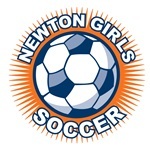 Newton Girls Soccer recognizes the important contribution made by parents in youth soccer and appreciates the challenges facing parents in their quest for guidance on how to help their child reach her potential in life, how to be supportive, and how to help their club in its mission to develop players. Below are some great articles and videos full of helpful hints and tips in how we can create the best possible environment for our kids to play soccer and have FUN in. By Stefanie Mullen Founder of Ooph.com a site devoted to parenting teens.